If you enjoy improving your home and are looking to add value to the property, while also providing a new level of comfort, there are many ways to do this. Of course, you can’t do everything at once and by prioritising your projects, you can gradually add features, as and when you are ready. If you are planning for next year’s home improvement projects, here are a few great ideas that will boost the value of your home, while providing you with a new level of comfort. The garden is an integral part of the living space for most of the year and shading is an essential requirement. Rather than mess around with that old rope and pulley system, why not install a state of the art folding arm awning? 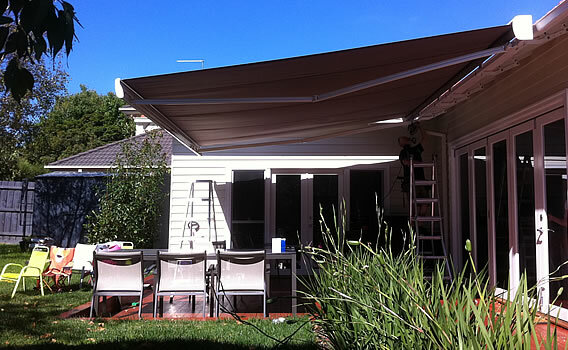 There are established suppliers of folding arm awnings in Melbourne who tailor the units to fit perfectly and with motorised solutions, you have effortless adjustment. A wide range of rich fabrics offer stylish and elegant shading that blends in with your home, and as the units are fabricated to fit the terrace, you can be sure of a first-class installation. If you want to add some character to your home, made to measure plantation shutters will do the trick. With a choice of real timber or composite materials, plantation shutters allow you to decide how much shade and privacy you want, and by dealing with an established provider, you can examine the many design options. Aluminium shutters are an ideal choice; easy to keep clean and there are some stunning powder coated colours to enhance your interior. If you would like to explore the potential that plantation shutters offer, there are online companies that can easily be found with a Google search, and they would likely send a technician to your home to discuss the many options. The ultimate in home security, made to measure aluminium roller shutters offer the homeowner a whole host of benefits – aside from the obvious security – roller shutters greatly improve thermal and sound insulation, and storm damage is a thing of the past once you have roller shutters installed on the windows and doors. With a choice of motorised or hand cranked units, roller shutters are designed to blend in with the surroundings, with slimline frames and the internal mechanism protected in aluminium casing. Auto locking ensures you don’t go out and forget to fasten the shutters, and whenever you are away on holiday, you can rest assured that your home is safe. These are just a few ways in which you can improve the home, and by searching online for local suppliers, you can quickly get the ball rolling. Permanent shading in the form of a folding arm awning would be high on the list of priorities, and once that is covered, window shutters would complete the look.